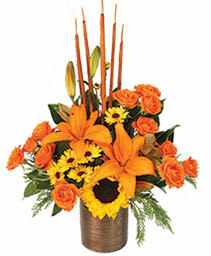 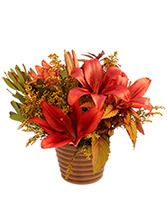 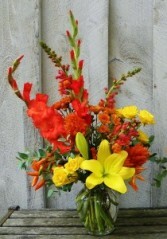 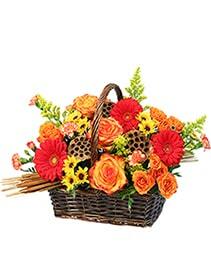 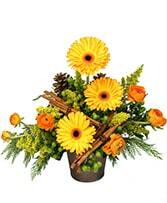 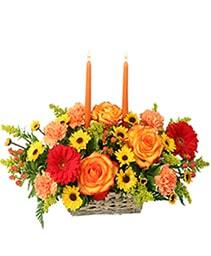 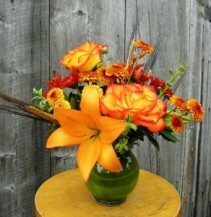 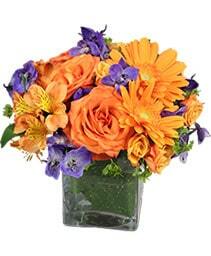 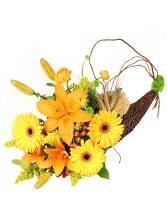 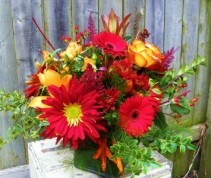 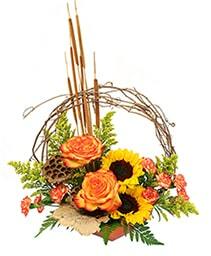 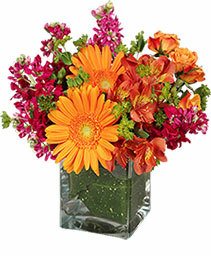 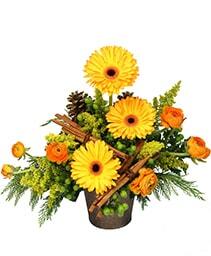 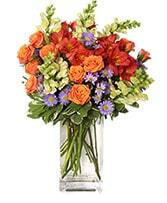 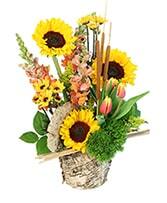 Liven up your harvest table with a fresh fall arrangement featuring lilies, roses, chrysanthemums and wheat. Fall centerpiece for the harvest table. 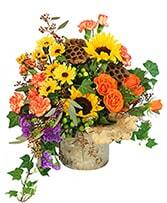 A burst of joyful seasonal color with locally and regionally grown blooms.